Check back here often to see the most current news about Eugenia and her campaign and community activities. "I was the first woman to hold every single job I had in my 27-year career"
"Through pluck and luck and a lot of really hard work, I persisted, eventually rising to the rank of colonel. When I pinned on my eagle insignia, I was one of only a dozen women in the Regular Army at my grade or higher." 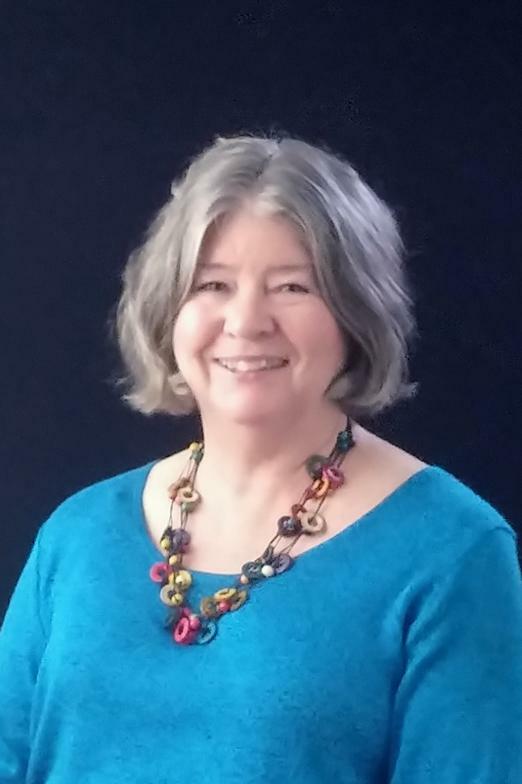 "St. Andrew's to host 'One Woman's Journey in this Man's Army' presentation "
"...at 7pm on May 7 in the church's Great Hall, 425 N. DuPont Hwy, Dover. When Thornton retired in 2000 she was among...the top ranking women in the US Army. 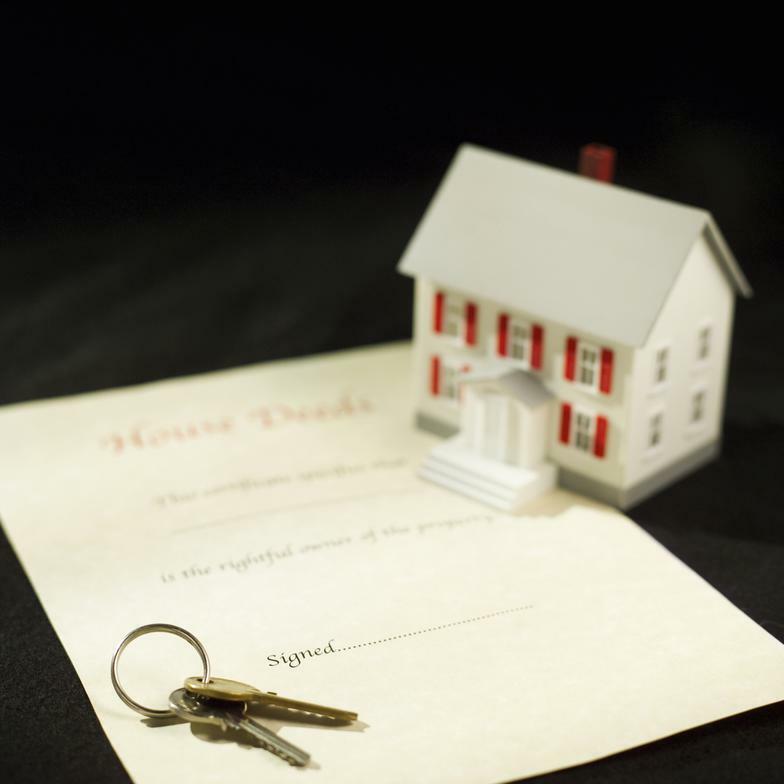 Thornton's background includes a wide variety of experiences. She was educated at University of California and University of South Carolina [et al.]." "Expo attendees will be treated to a demonstration of the 12 Keys to Dog Training by Eugenia Thornton and her award-winning dog, Dolly." Delaware State News, advertising the 2018 Delaware Outdoor Expo (held March 10), where Eugenia and Dolly were once again featured presenters. "Kent County GOP to meet May 10 at Grotto Pizza...Gene Thornton ...will speak about what [she] will offer the public."
. "She is bringing massive qualifications to the office, especially her military background as a colonel, retiring after 27 years." "Gene Thornton, candidate for Recorder of Deeds...will speak about what [she] will offer the public." 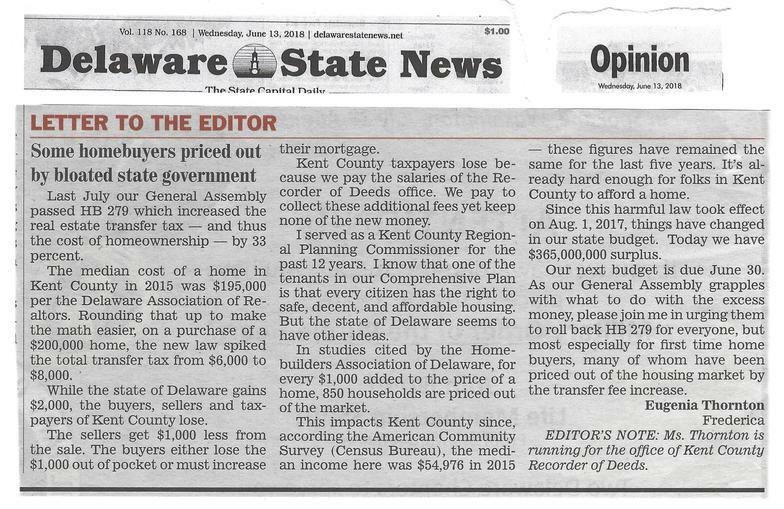 "Some home buyers priced out by bloated state government"
"Join me in urging [General Assembly] to roll back HB 279 for everyone, but most especially for first time home buyers....."
"Thornton challenges McKenna for Kent Recorder of Deeds seat"
Click picture to see it in a larger size. to see it in a larger size. Military information and photographs do not imply sponsorship, support or endorsement by the Department of Defense or the US Army. They are for historical purposes only. 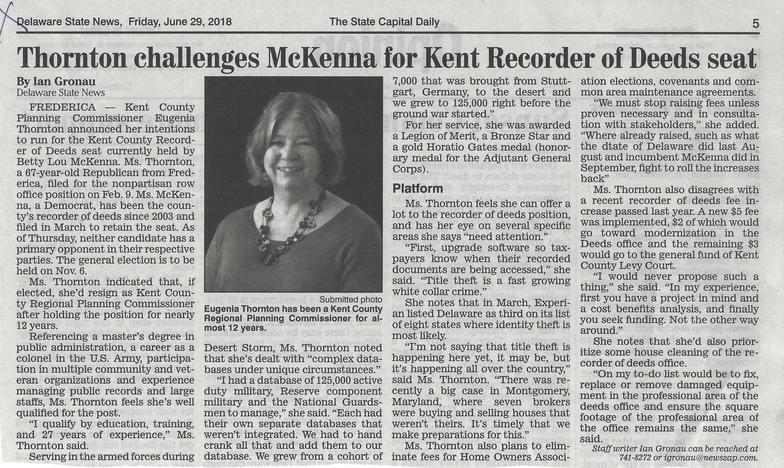 "Kent Recorder of Deeds candidates spar over title theft protection"
"McKenna deserves to be reelected"
"Thornton will keep titles safe"